You can purchase the book, personally autographed by the author, for $28.95, S&H included. — John Dowd, author of Sea Kayaking: A Manual for Long-Distance Touring. 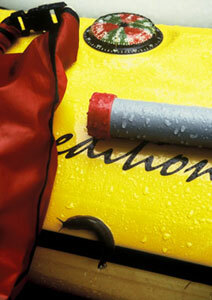 So you’re thinking of kayaking the Inside Passage? Every outdoor pursuit has a test-piece, a compelling must-do classic in the genre, difficult enough to inspire and aspire to, yet still accessible to a large proportion of participants: climbing the Nose on El Capitan, mountain biking the Continental Divide, kayaking the Grand Canyon, or hiking the Pacific Crest Trail. Paddling the Inside Passage is sea kayaking’s Holy Grail. Kayaking the Inside Passage: A Paddler’s Guide from Olympia, Washington to Muir Glacier, Alaska by Robert H. Miller, 2018, Countryman Press, 468 pages. $28.95 , S&H included. + Many new, additional campsites. Or, email me. Don’t forget to include your mailing address. Unfortunately, all guidebooks require periodic updates and revisions—mistakes need correction; new routes need to be added; campsites appear and disappear; roads and settlements get built (mostly) or vanish (rarely); land managers add rules and restrictions; new knowledge and perspectives change old ways of thinking and doing things; the author needs money; readers clamor to add their two-cents worth. This website is the source for periodic updates to the 2nd edition and the most up-to-date feedback from Inside Passage paddlers. There are two types of updated information available—the Current Updates (new alternate routes) for $16 (S&H included) and the I.P. News Forum (free). The I.P. News Forum provides a bulletin board for the sea kayaking community to post opinions, information, observations, etc relevant to Inside Passage paddlers of all levels. To post content just submit your comment via email to roberthowardmiller@gmail.com for consideration and inclusion. Coming soon: A current updates route guide addition and map to circum-navigating Revillagigedo Island through Behm Canal. Stay tuned. The loose-leaf addition will be available for $16. 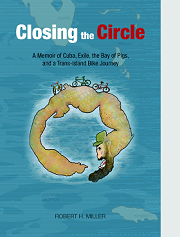 Closing the Circle: A Memoir of Cuba, Exile, the Bay of Pigs and a Trans-Island Bike Journey, 2017, Cognitio Book & Apps, 468 pages $24.25, S&H included. “Indispensable for anyone attempting to understand the personal consequences of the Cuban civil war unleashed by the Batista and Castro revolutions. A memoir that is poignant, funny and arresting—both in its subject matter and in its ability to grab the reader and not let go. An epic.” — Lya Fitzgerald, Directora Nacional de Trabajo under Venezuelan President Luis Herrera Campins. Part I of Closing the Circle is the author's immediate family's saga: His grandfather was a big-projects contractor who helped build Cuba's trans-island highway; the capitol building in Havana, the National Theater and the federal prison on the Isle of Youth where both Castro and his two cousins, grunts in the Bay of Pigs invasion, did time eight years apart—in the same cell. His grandmother emigrated from the Canary Islands. His father, founding CFO of AIG, introduced VW to Cuba. His mom sparred with Hemingway. 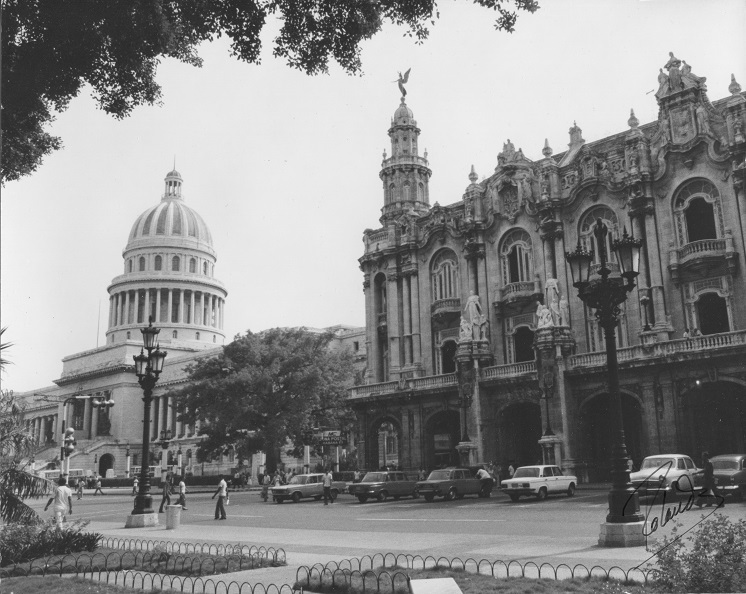 They lived next door to the mayor of Havana, a big power broker before the Batista coup of 1952. They went into exile in 1960. Part II is the author's extended family's saga: It focuses on the Bay of Pigs from the perspective of his 2 cousins, and their subsequent 20 month stint in Cuban prisons, followed by their adventures and misadventures during the Kennedy administration’s infiltration operations after their repatriation by JFK. One cousin was personally interrogated by Che Guevara after his capture at Playa Girón. Part III is a travelogue of a trans-island bike ride along the road the author's grandfather built, where he returns and connects with his family’s memories. Their route included a detour to the Bay of Pigs where he was able to physically connect with his cousins’ battleground at Playa Larga. The bike ride took place in 2016 when the author led an educational reconnaissance group to Cuba. They stayed at a distant relative’s home. The bike group included a variety of political perspectives, which made for lively discussions between themselves and with Cubans. “Closing the Circle flows smoothly from beginning to end brightly shining new light on key events of the Cuban drama.” — Luis R. Luis, Editor, chief economist at the Organization of American States (OAS); director at The Institute of International Finance; and Assistant Professor of Economics at the US Naval Academy. “Robert Miller’s Closing the Circle engages us with charm, intimacy, and suspense by means of first-hand stories out of the trenches, prisons, and mansions—out of the soul of Cuba. It is infused with primal passion, elegant sophistication and reveals the tectonic cultural shifts the island has undergone, all woven into a seamless tapestry. It’s hard to put this book down!” — Jorge Urioste, professor emeritus of Anthropology at University of Nevada Las Vegas. “Robert Miller provides an engaging and memorable account of Cuba’s modern history and culture; the best I have seen. Miller knows Cuba inside and out…top to bottom. Through vivid anecdotes, seamless narrative, and sharp analysis, he shows the true nature of the nation’s crisis and transformation in the mid-twentieth century. A work of unique insight and value.” —Stephen Cox, Professor at University of California San Diego, Editor & Publisher of Liberty magazine. Robert H. Miller has been kayaking and climbing for over 50 years and has published articles and photos in numerous outdoor publications, including Rock & Ice, Canoe & Kayak, and Paddler and has taught for Outward Bound, Challenge/Discovery, Prescott College & Yavapai College. He now lives in Prescott, Arizona. You can contact Robert via email. © 2019 Robert H. Miller. All rights reserved.